Kolkata: Kolkata Knight Riders, one of the most successful teams in the popular Indian Premier League had a very torrid time in the initial years of the tournament. But after a major revamp took place in 2011 which saw a huge change in the entire team setup, the franchise began to scale new heights and won the title twice in the space of three years. 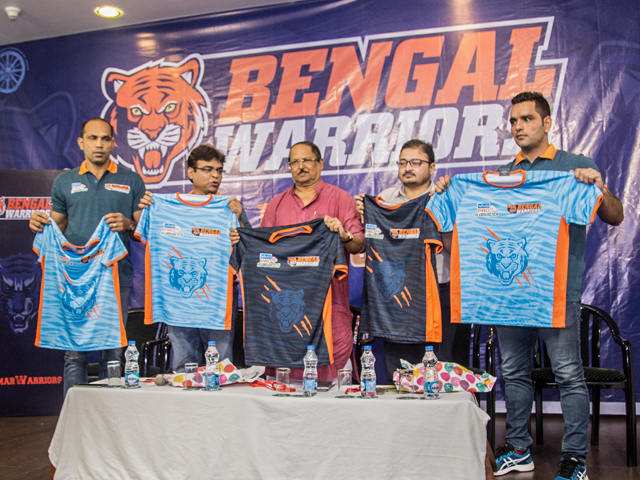 The Bengal Warriors in the Pro Kabaddi League have had a same history like that of the Knight Riders of the IPL, and after four dismal seasons, they have decided to start from scratch and have put together an all new team and retained just two players from the last season. Also with a new coach for their side, the Bengal outfit hopes to put up a strong performance in the fifth edition of the Pro Kabaddi League slated to begin from the 28th of this month. “Well, we reached the semis in season three but other than that we had some patchy performances all throughout. So we decided to get back to the drawing board and build a new team that would give in it’s best to win the tournament this year. Yes, definitely we are going the KKR way,” said Sandip Tarkas, the CEO of the Bengal Warriors, at the sidelines of an event for unveiling the new jersey of the Bengal Warriors. 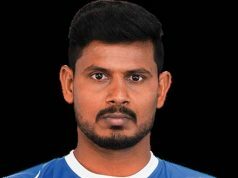 The PKL side has roped in former U Mumba defender Surjeet Singh as the captain and have retained Jan Kun Lee and Ravindra Kumawat. Lee is the icon player for the side. The Bengal Warriors not only have a new team in the ranks but also has a found a new co-owner in actor Akshay Kumar, who was recently in England for supporting the Indian eves in the final of the Women’s World Cup. 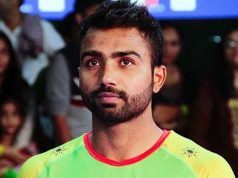 At the PKL auctions, Nitin Tomar who had represented Bengal Warriors in the third season was sold to the team from UP for a whopping amount of ₹93 lakhs, which made him the highest paid player so far in Kabaddi. Jagadeesha Kumble, the new coach of the Bengal outfit who brings in a mix of experience and youth spoke about the elaborate training sessions that he has had with the team to prepare them for the challenges in the tournament. “The training camps of the team has been extended to six weeks out of which three weeks would be used up in working on the fitness of the players and the other three for planning out the strategy of the team. Also, we have kept the last ten days for finding out our team combination,” said coach Kumble. Subrata Mukherjee, the Public Health Engineering Minister of West Bengal ,who is also the president of the Amateur Kabaddi Federation of India (Bengal Unit) was present at the event and said that, the team is an improved one this time and the state government would provide them with all the support and assistance required. He also added that Bengal Warriors had donated three Kabaddi mats to three people which would help them in their growth as better Kabaddi players.